So I decided to get my hands on it. Some bloggers publish regular blog posts with nothing but links to the recent articles of their fellow bloggers. This way they are giving them a pat on the back for creating an outstanding piece of content. Basically this is how bloggers used to share amazing content with their readers in the “ancient times”. But since the day Twitter got popular most people prefer tweeting an article rather than linking to it. You get backlinks to your website, which is good for SEO. But can you do it on “autopilot”? Last month I’ve published a huge list article featuring 50 marketing experts and their Twitter marketing advice. I didn’t plan for it, but that article landed me a few appearances in link roundups (FirepoleMarketing, iBlogZone, TechToucan, ALifeLessBeige) and a few more “honorable mentions” on awesome blogs (MatthewWoodward, BloggingFromParadise, WordingWell). This, and the fact that I’ve studied over 40 link roundups on other blogs (more on this below) makes me think that I’ve learned something. The whole point of link roundups is to feature exceptional content, the one that stands out from the rest. I absolutely love this quote by Jeff Jarvis: “If you can’t imagine anyone linking to what you’re about to write, don’t write it”. My article required a huge amount of work reaching out to all these influencers and then repackaging all their advice into an easy to comprehend format. That is something readers and bloggers value a lot and that is why my article got noticed. The more time and effort you put into your article – the more chances that other bloggers would gladly feature it on their blogs. How are bloggers supposed to feature your article if they don’t even know it exists? My success was entirely based on the type of the article that I’ve used. More than 50 bloggers knew about that blog post before it was even written (because I’ve asked them to contribute), so reaching out to them after the article was published seemed natural. Send them a personal email (doesn’t work with A-list bloggers). To be honest that’s pretty much the standard blogger outreach mechanism, with the only difference that you’re targeting only specific bloggers who publish link roundups. You can easily find lots of link roundup articles in Google if you know how to use advanced search operators. Some other keywords to try are: “best of the web”, “weekly roundup”, “monthly roundup”, “top posts”, etc. If your niche is blogging or internet marketing you can use my own list of blogs. I did all the job for you and collected 42 blogs that do link roundups. But then I decided that it would be great to sort all the blogs by the amount of traffic they get. So I created a spreadsheet with an extra column that shows the Alexa ranking of each blog. So now you have a list of 42 blogs that do link roundups and you can easily find a few more if you dive deep in Google. But like I said, link roundups were not the only place where my article got featured. Some bloggers just mentioned it in their regular blog posts. So what’s the difference? I don’t think there’s a huge difference between being featured in a link roundup or getting mentioned in a regular blog post. Actually in a link roundup you’re competing with dozens of other super awesome articles, while in a regular post the competition is oftentimes a lot less intense. And besides, the methods you use to get featured in both kinds of articles are pretty much the same. Don’t try to get featured in “link roundups”, just try to get featured. Watch them link to your content. And you know what? You should absolutely be doing your own link roundups!! This is a perfect way to be useful to your favourite bloggers by featuring their articles on your own blog. They will notice that you’ve linked to them via a trackback and come check you out! That’s your first step in building connections with them. So what are your thoughts on “link roundups” as a “blog post promotion strategy”? Don’t you think “link roundups” are rather a result of connecting with other bloggers, than a promotion strategy of its own? Do you do link roundups on your blog? Would you consider trying it after reading this article? I just started to implement this strategy on my own blog, I think it’s a great way to share content! Thanks for the mention! thanks for stepping by, Matthew! Thanks so much for linking in. This approach is smart, good karma. Give and receive. Link to value and without even asking for it, someone will link back to you. It may be the person you linked to or someone else. It happens to me again and again. Help others to be helped, right? Hey buddy! I think most bloggers are greedy for links because they think that they will lose their readers by showing them some other blogger who’s smarter than them. Thanks so much for including my blog in your list. I don’t call my series a roundup. (I call mine #FridayFinds). So, I was pleasantly surprised to see my site included here. Your statement “The whole point of link roundups is to feature exceptional content” is right on the money. I actually don’t even know the majority of the bloggers who I feature. What I usually do is choose a hot topic and then search for great content. Often, bloggers I’m connected to are in the SERPs but many times, they’re bloggers who are totally new to me. Sure, I have a few resources that I turn to for starters, (like the MOZ Top 10 list when my topic is SEO related) but my intent is to enlighten my readers. So, I look for in-depth analysis and original content. It’s a great way for me to find new bloggers to connect with too. I believe that is the reason Google returns those results and I actually like that. Since I’m curating content, I appreciate the fact that many of the bloggers who I already know and respect are easy to find. Thanks. That series is received well. So, I believe my readers want me to keep up with it. Have a nice weekend! This caught my eye on Google+ because I have been featured in many round-ups lately. It is like the new “craze” in blogging. It does bring me more readership from people who are interested in me and my brand. I’ve done a few myself but didn’t cal them “round ups” Instead I gave a shout out of thank you to amazing bloggers. I am implementing other links to my blog posts lately and it has increased readership. Thanks so much for this post! – the readers get an awesome piece of content to study. Great article Tim! Roundups are certainly helpful especially when delivering valuable resources. thanks a lot for the feedback, David! well if we write anything which is around 20% then the article or blog taken any worth or not? I am currently revamping my own post about Link Roundups – wrote it a while ago, but definitely needed an update; would love to use some of your suggestions with a link back, of course. And here’s what you are talking about in the post at work… ;) Write a valuable post; (optional step, but works for me every time) mention other bloggers who write exceptional content, let them know about it, see what happens (usually only good things no matter how you look at it). By the way, loved your creative social sharing idea – find something valuable your readers might want and ask them to RT to get it. My, me, me, I, mine. PLEASE mine, me, me, I, I.. Since it didn’t work even for me, it obviously won’t work for A-listers. Regarding “creative social sharing idea” – obviously it’s not mine :) paywithatweet.com is not the only thing you can use. Did you hear about http://sociallocker.org/? Or the new tactic called “content upgrades” http://backlinko.com/increase-conversions ? …That’s all it really takes for this to work and it’s worked for me time after time. A lot of what I do has revolved around – 1) detailed content 2) mentioning influencers 3) letting them know. And a lot of the time, if I don’t get my post added to a link roundup, an influencer will end up sharing it because I say cool stuff about them. Then there’s even more chance of being featured in more link roundups in the future. I’ve seen so many people mention my blog and say really cool stuff but 80% of them don’t let me know about it so I usually don’t share it or link to it. All it would take is a quick tweet to let me know, or better yet an email. The “letting people know” part is essential and usually missed. Yep.. it feels to me that quality content + smart outreach is really all it takes to grow a blog. And this is something I’m going to try within the next few months. Thank you for reaching out and inviting to contribute to this discussion! Honestly, I’ve never considered “link roundups” as a “blog post promotion strategy” in the first place. To me it’s more about providing value to our readers. Needless to say, how busy online marketers are these days! Personally, I’d appreciate to regularty get a nice selection of (objectively!) the best posts on the topics I’m interested in, to stay up to date with the most important news. That’s exactly what we are trying to do on our blog. Hope, our readers, feel the same! So, trying to get featured in “link roundups”, just try to get featured (same as writing “link roundups” just for writing them or solely for blog promotion) is not an option. Great informational resource Tim, I am not much aware about the link roundups “how to find and what to do”. After reading your well explained post i got much information about it.. 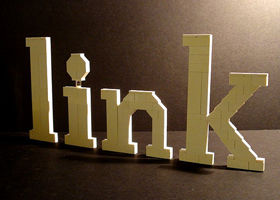 Thanks for featuring the list of link roundups sites! Thank you for including the TechWyse TWIIM round up in your list. Creating marketing round-ups have been a great way to share with our readers and everyone some of the best content and tips on the web. With so many articles being published, marketing round-ups is like your own curated content list. I find link roundups a great way for me to connect with other professionals in the industry. If I enjoy reading their content, chances are, I’ll go back to their site for more in the future. This gives me an opportunity to reach out to them and build an even stronger connection via email or social media. Tim great article on link roundups. You have a ton of great information here. Plus, it’s always cool to meet another Tim. The only thing I had a question with is your advice for getting connected with a-list bloggers. Is this just something that happens over time with awesome content and great networking? Thanks in advance Tim. Look forward to any comments.